Do you have a favorite restaurant meal or prepared food option that you’d like to replicate at home? If so, what is it? With the abundance of packaged foods, plethora of fast casual restaurants and general ease of takeout these days, it would be really easy to never cook. Happily, there are virtuous options if you look for them. 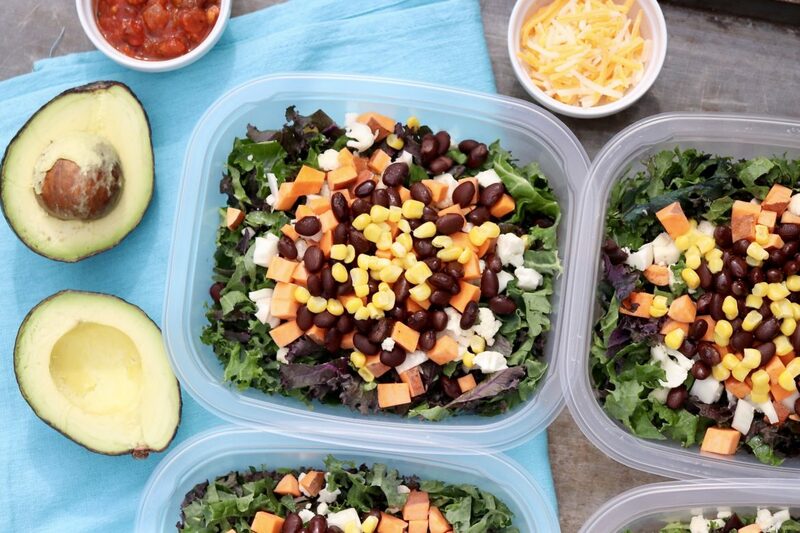 Restaurants like sweetgreen, CoreLife and Harvest keep the calorie counts down without sacrificing flavor or the need to feel satisfied －and there’s something on the menu for most every taste and eating style. Not to be outdone, grocery stores have ratcheted up their offerings of wholesome prepared foods. Much of it is prepackaged but, more and more, these stores are cooking in-house so customers can take home a hot, “home-made” meal. 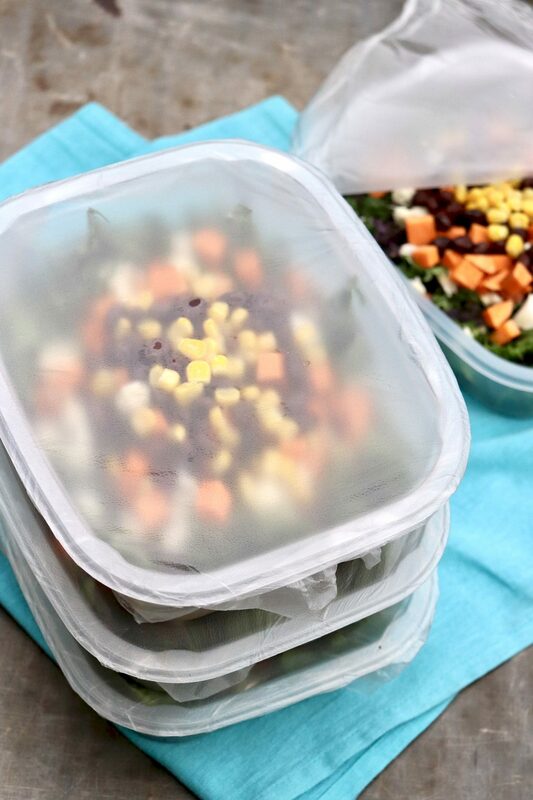 Granted, we pay a premium for this convenience, so there’s good reason to create our own short list of grab-and-go meals that we can prepare ourselves and have at-the-ready. What’s more, we can often make these grocery store and restaurant offerings even more appealing by editing out what we might not love and added more of what we do! Case in point: Nourish Bowls. For those who may not have noticed, Nourish Bowls can be found in many supermarkets near the packaged greens. There are several varieties to choose among, all of which are green-, grain- and/or legume-based and contain a sauce and a variety of mix-ins for added flavor and texture. 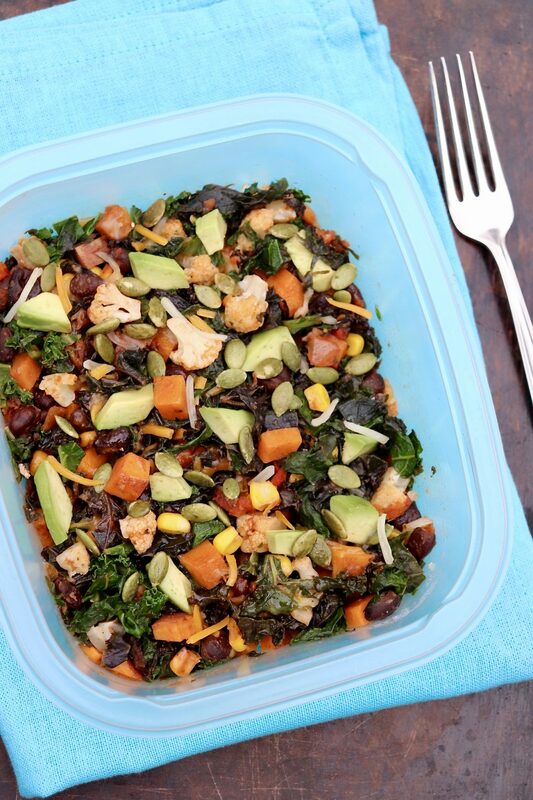 My personal favorite combines hearty kale, sweet potatoes and black beans with a variety of Tex-Mex flavors. Neatly packaged in a handy bowl, the meal requires nothing more than a short cook in the microwave and a quick stir. Of course, we’ve talked before about the recommended daily intake of veggies. It can be a challenge, right? These bowls will make it easy! While the store-bought option certainly convenient, too, I like to make them myself for several reasons. The dressing: This is what pulls any salad together. 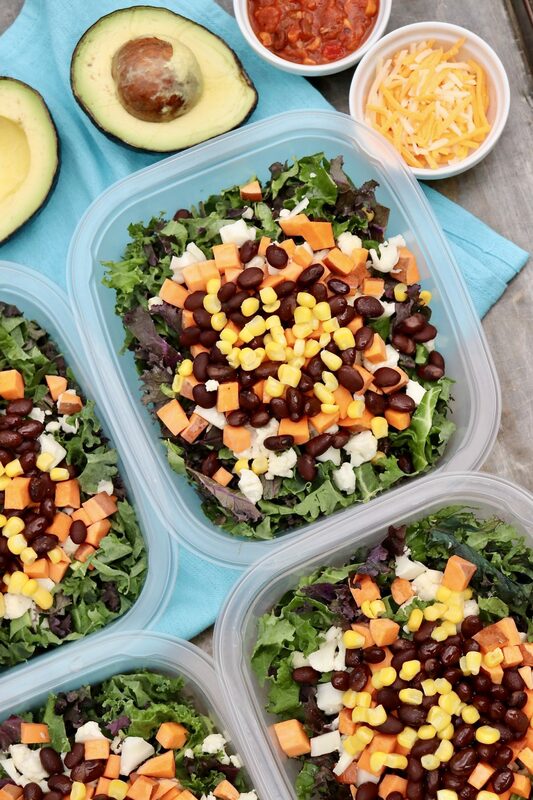 The store-bought Nourish Bowls include a packet of black bean and corn salsa. I use a basic tomato salsa and then add the corn and the beans. This approach allows for a heartier serving of protein-rich black beans (there aren’t too many in the salsa), and the extra protein increases the staying power. Plus, as is often the case, the do-it-yourself approach saves a few pennies in the process. Avocados or guacamole add creaminess and healthy fats, adding to the flavor and fill factor. Likewise, pepitas (also known as pumpkin seeds) provide healthy fats, a wealth of nutrients and welcome crunch. I mention several others in the recipe, but feel free to think beyond my ideas. Flexibility: Customization can happen through various topping choices, but it’s equally easy to adjust the core ingredients based on what you like and have on hand. 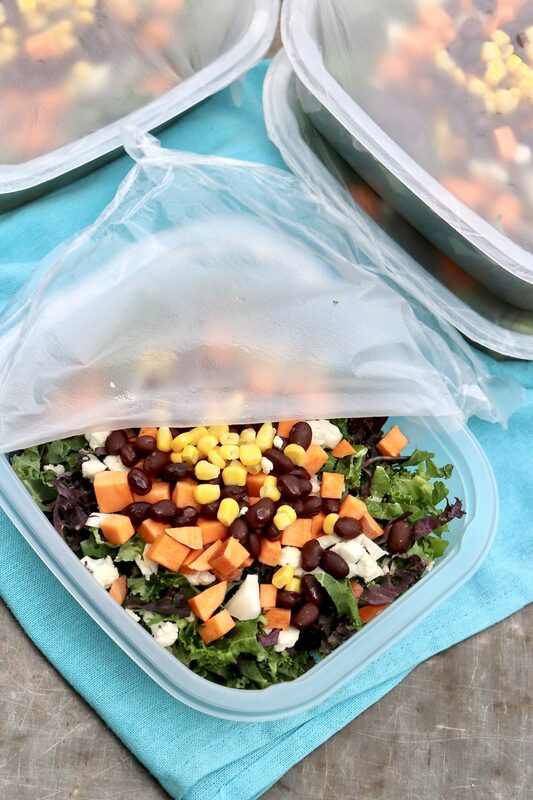 For example, you could try edamame or kidney beans in place of the black beans, feta or cotija cheese rather than cheddar or butternut squash instead of sweet potato. I’ve even used peas, which don’t complement the southwest flavors as well but aren’t bad if you like peas! The store-bought packages contain kohlrabi. As a harder-to-find vegetable, I’ve omitted it in my rendition, but you could give it a go. As always, as you try the recipe, feel free to come back and comment with feedback and any tweaks, as others may enjoy the insight. Variations: For an added twist, you can prepare the bowls as directed and then add chicken or vegetable broth to make soup. Or prepare as directed and add to beaten eggs for a healthy scramble－or use the cooked mixture as an omelet filling. Added bonus: These bowls are naturally free from wheat, soy, peanuts, tree nuts, gluten, and egg, making them ideal for almost anyone. For a vegan meal, simply omit the cheese or stir some nutritional yeast into the finished bowls. I thought the greens would make everything a little watery when heated but they didn’t. I was surprised by how much I enjoyed these! 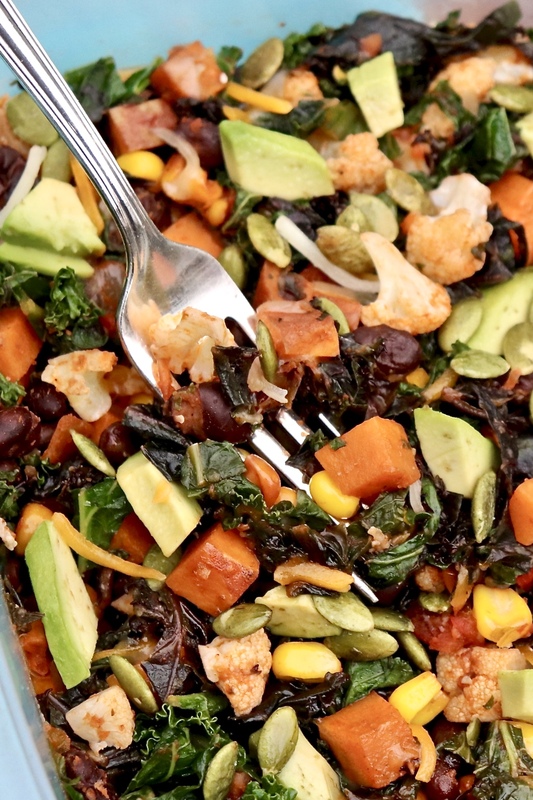 The black beans and the sweet potatoes work so well together. The first time I stopped cooking after 2½ minutes because everything looked done, but the sweet potatoes really do need the full time stated. I’d make these on repeat. Like a warm salad. (I added crouton-like crunch using broken corn chips from the bottom of the bag!) Comforting and healthy. Salsa as dressing is a stroke of genius. Healthy and flavorful. I didn’t expect the small amount of cheese to do much, but it added a pleasant extra hint of flavor and cohesion. I appreciate a meal that I can tailor to my own tastes. For one meal I mixed in a small amount of leftover rice and I’d do that again. Superb work lunch! I could see packing these on a regular basis. Proof that it’s possible to improve upon grocery store conveniences and save a few dollars at the same time. It’s a win for me! The bowls sound delicious! I must try this. I am very interested in food without sugar. My husband doesn’t eat sugar, so I always am looking for those items without. I realize there are many, but if you run across anything extraordinary, please share. I use truvia in some dessert recipes, but have many times failed miserably! Thank you, Harriette! I hope you enjoy them. Coincidentally, I’ve been working on more recipes that are either no sugar or very low sugar and will try to share more of them going forward. I adore sugar, so I’m always trying to figure out ways to make things taste great with less (and still enjoy a special, guilt-free dessert here and there). We can all motivate each other on this front! I’ve got to admit I do not, as a rule, comment on blogs but I’ve left multiple messages for you. Thanks for being so relatable! I love reading your comments, Alexis－keep them coming! And I will be in touch! These look delicious. I use so many of your recipes. I would be happy to be a taste tester for you, and I believe I am in your neighborhood. Hi Karen, I’m delighted you are a “regular” －and a neighbor! I will send you an email about the recipe testing, and I hope our paths will cross someday soon.